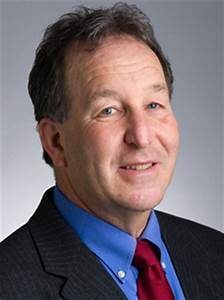 Steve Kadish is a Senior Research Fellow at Harvard Kennedy School’s Taubman Center for State and Local Government. Steve was appointed chairman of the Commission on the Future of Transportation in January 2018 by Massachusetts Governor Charlie Baker. Focusing on disruptive technologies, climate change, land use and demographic trends, and various transit services, the 19-member commission presented its report, Choices for Stewardship: Recommendations to Meet the Transportation Future in December 2018. Previously, Kadish served as Governor Charlie Baker’s first Chief of Staff, where he helped shape and implement policy and operational improvements in key state agencies and guided relations in the Governor’s cabinet, with the state legislature, and with external stakeholders. Prior to this appointment, Kadish served in a number of roles in the public and private sectors, including Senior Vice President and Chief Operating Officer at Northeastern University, Executive Vice President and Chief Financial Officer at Dartmouth College, Director of Global Health Equity at Brigham and Women’s Hospital, Massachusetts Undersecretary for Health & Human Services, Senior Vice President for Administration at Harvard Pilgrim Health Care, Associate Vice Chancellor of Operations at UMass Medical School, and Assistant Commissioner for Operations at Massachusetts Division of Medical Assistance (Medicaid). Kadish currently is an advisor to the World Bank on various strategic planning and organizational development issues and had previously worked with the World Health Organization (WHO) on management reforms. Steve has long-term passion and interest for homeless and behavior health issues, including as a board member of Boston Health Care for the Homeless Program. He earned a Bachelor of Arts degree from Tufts University and a Master of City Planning degree from the Massachusetts Institute of Technology. Click here to view Steve Kadish’s presentation. Click here to view the MBTA’s presentation on the Perq program. This meeting is for members and invited guests.